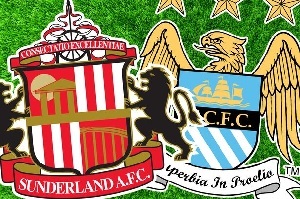 Sunderland will face Manchester City on Tuesday in the Premier League. City are 3 points behind Leicester and just above Arsenal on goal difference, so this is a must win game for them. Aguero, Yaya Toure and Silva were given a rest in the last game against Aston Villa. The Citizens won the game with 4-0 without their best players. Sunderland is ranked 19th with 19 points so far. The team need points in order to stay in the league, but this game is beyond their abilities. City defeated Sunderland twice this season with 4-1. This game is not going to be any different. City will win with more than 1 goal.